We finally got our website online! Take a look at www.24terra.com to see what we can offer at the moment. 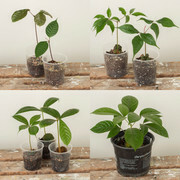 We can ship seeds worldwide and plants within Europe. The seeds will be freshly imported for you when ripe. Re: Seeds and plants for sale at 24terra! Amazing! Might place an order tomorrow. Im hoping this gets big! Great website and easy to navigate! I suggest that you can click the logo to get redirected to the homepage. That’s a great tip thanks! Re: Seeds and plants for sale at 24terra! UPDATE: Ready! We should be able to receive orders through the website now. Go take a look to see if there's something interesting for you! Are these beetles something you could grow in the wild and would they be harmful in a garden? 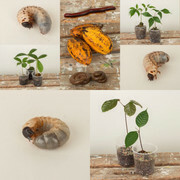 The beetles available in the store right now are all from tropical central and South America. They need a temperature of 18-28 degrees Celsius to grow properly, best at 24-28, so it’s not really doable in Europe. But they would definitely not be harmful to your garden. They feed on rotten oak and beech leaves and wood. Oh pity, same for the millipedes? all tropicals? Yes, unfortunately all of them are tropical as well. They can handle temperatures a bit lower though, something like 13 degrees Celsius, but that’s probably too warm in winter as well. We have a Facebook page as well now! How do you store and pack perishable seeds? We try not to store any seeds. When we do, we keep them cold and moist, or when possible, inside the fruit. We have experienced that it is best to directly send the seeds to our customers when we receive them, because it optimizes germination rate. When customers order seeds with us, we import the seeds as soon as they are ripe. Then, when we receive them, they are distributed amongst our customers. The seeds that we do have in storage right now are listed above on the ‘seeds’ page of our store. Seeds are shipped in moist moss, which makes it possible for them to start germinating in the package. This way they won’t loose their viability. Our plants have been placed in winter storage again! However, the plants are not kept any colder here to be able to supply our customers year-round. They look nice and healthy! When can you send fresh seeds marked on the website as "AVAILABLE FOR ORDER"? Is it pouteria caimito the abiu fruit?